Year over Year Percent Change in the S&P 500. Annual Percent Change in S&P 500. Includes Forecast. 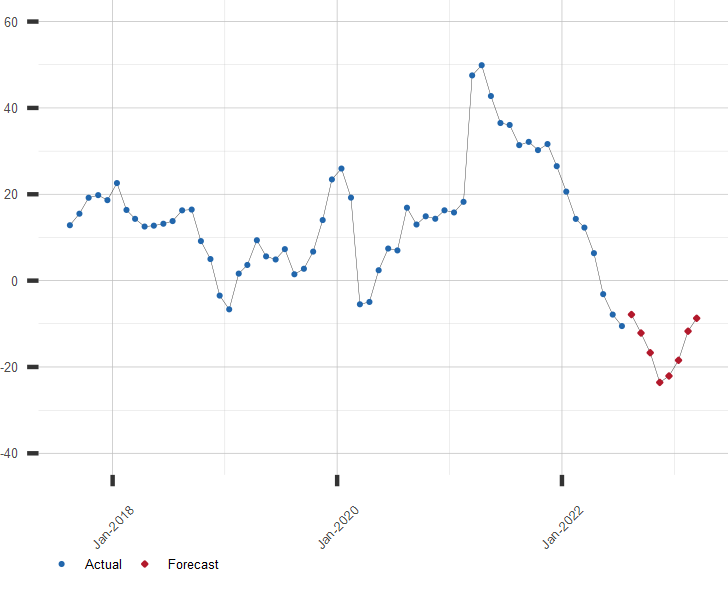 A long range forecast for the S&P 500 Stock Index and similar financial series is available by subscription. Click here to subscribe to the S&P 500 Extended Forecast.